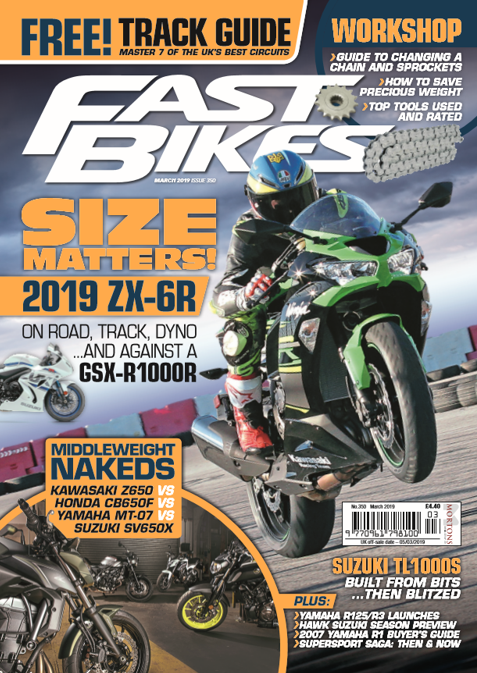 Finally, after nearly a decade, we have a brand new Suzuki GSX-R1000 – and here’s our verdict on the new beast! Big Green’s sporty Er-6 replacement is here! 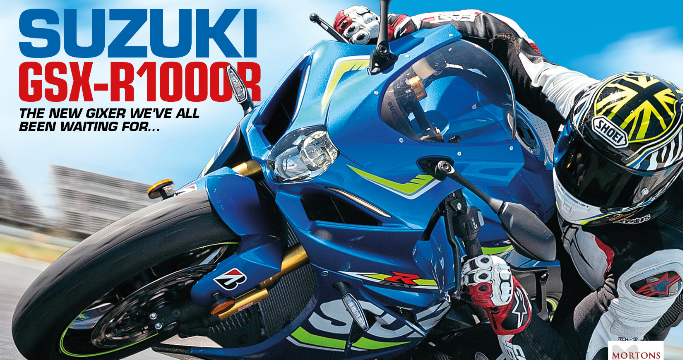 Expect it to rule the Supertwins TT class, but will it rule on the roads? Ducati’s latest sportsbike, one meant for everyone and a nod to the SS900 of old, thrashed, ridden and rated! It may look similar, but this all-new Street Triple has been long in the making – is it a game changer as Triumph suggest? They’ve revived a famous name in the Z900, but does the modern iteration stand up to the legendary moniker? We’ve got a gorgeously modified Kawasaki ZX-10R for you to drool over this month – Robin Huth’s ‘endurance’ replica ZX! Ducati’s new V4 & other news and views! It’s all about one-piece race suits this time! Yamaha’s 2005 R6 is like a best-kept secret – a Supersport machine with torque! 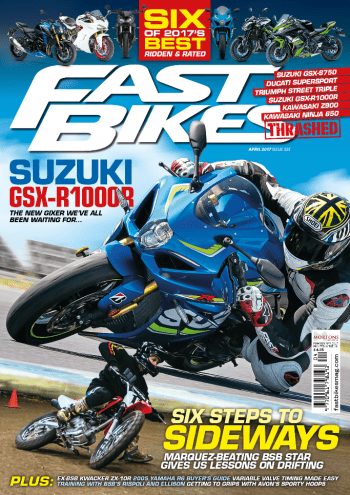 It’s all about braking smartly this month, plus more of your own questions too. James waxes lyrical about big bore exhausts! It’s your word against his, this month. The best readers in the world speak! One reader does Thailand on a whim! The news and views from the racing world. Chaz gets ready for his new season! The old fool is only going racing again! Previous Post:World Superbike Phillip Island – Kel Edge gallery! Next Post:WIN! Tickets to the Prescott Bike Festival with Bloodbikes!